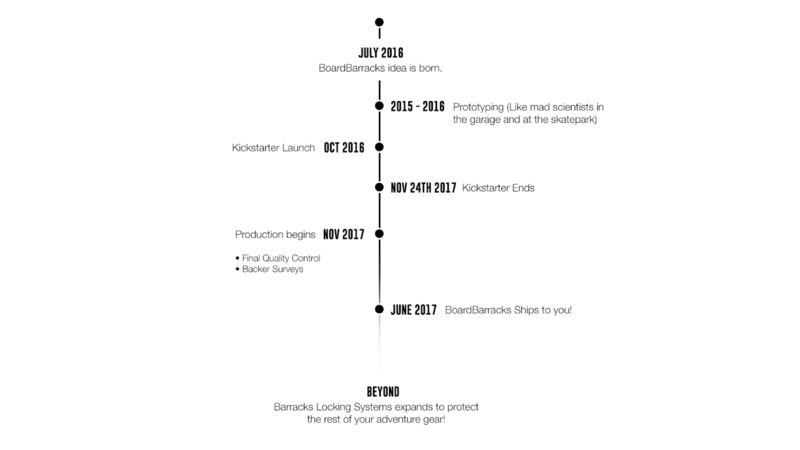 BoardBarracks is a high-performance locking system, built to universally fit skateboards, longboards, Pennyboards and funboards. 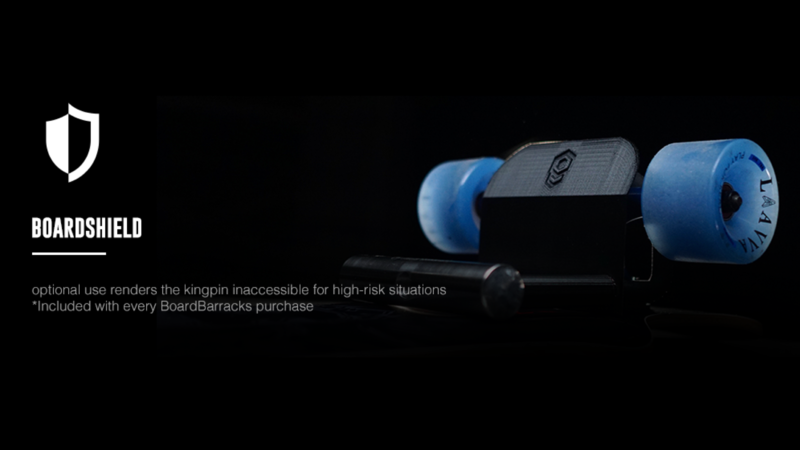 To transform their idea into a reality they turned to kickstarter, our team worked with their team along with a few of their partners to facilitate a brand that would emulate a feeling of trust and rigidity. We decided to move forward using the colours of dark grey and white to fit nicely within the space of skate brands and companies. This choice of colour allowed us to be BOLD with our design while at the same time remain calm and simple, like the function of the lock. For their icon we needed to keep it as illustrative as possible since the brand is not yet established. The bold hexagon feels emulates stability, yet is not conventional much like their product. 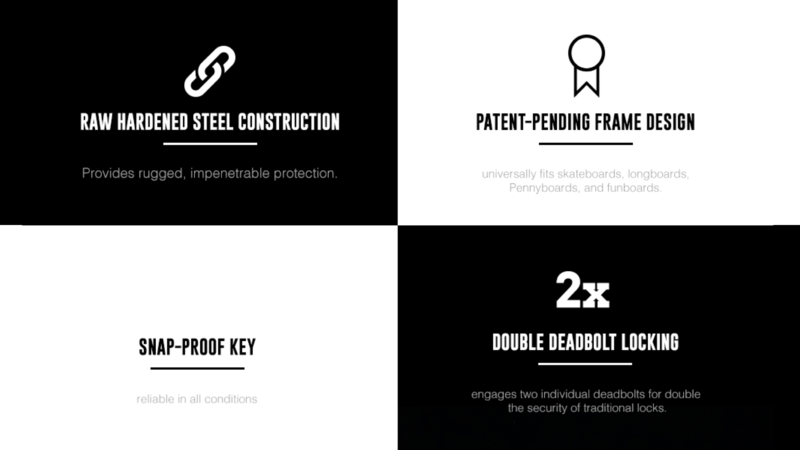 The font face for Board barracks needed to feel secure, therefore we pulled inspiration from other security brands and companies that lead us to using the font of FONT HERE. 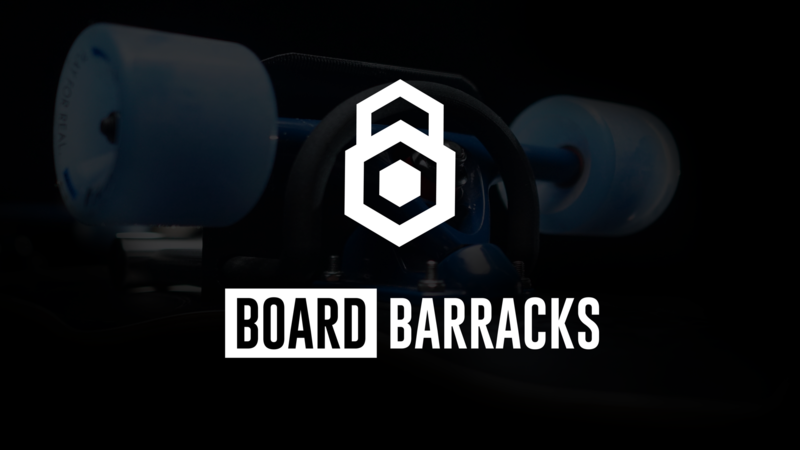 Learn more about BoardBarracks here.